Enjoy daily inspirational messages from Fr.Austin Eleke... Get aquintted with our works. Join us! You want to reach father or simply want to share some thoughts with us? We would like to hear from you. 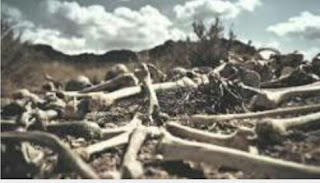 The story of the valley of dry bones in the book of Ezekiel is one that inspires any serious christian. The dry bone represents everything that is dead in us which needs restoration from the Lord. 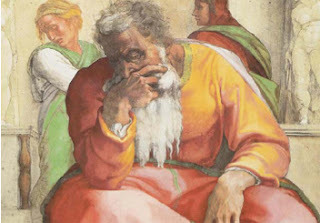 Sometimes in life, our faith and spirituality get so dry and arid that we become disconnected from the things that concern and involve God. Sometimes also as a result of the challenges we face in health, business, work, family, marriage and so on, we feel so empty and dry that we will be seen as a working corpse or a dead. This season of advent is a season when we open ourselves to the mercy of Jesus so that he can heal us of our dryness and restore us to life like the dry bones were restored in this book of Ezekiel. We become dry when we cut ourselves away from God who is the source of our life. We become dry when we allow sin to reign in our mortal body. We become dry when we give in to hatred, wickedness, envy and bitterness. 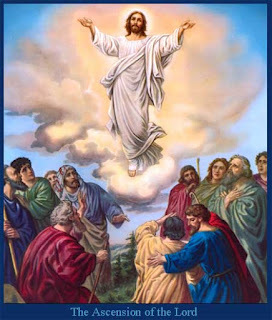 The feast of today commemorates Jesus Christ's return to heaven forty days after His resurrection. This feast marks and celebrates the end or completion of Jesus' earthly work and the day on which Jesus in His glorified body, took His seat at the right hand of God. In the Scriptures we find evidences of many ancient holy people who were said to have been taken up into heaven, like Enoch (Gen.5:24), Elijah (2Kgs.2:1-14), Ezra, Baruch and Moses. Over time ascension to heaven came to be expected of every holy person that dies. It indicates and shows divine approval of them as well as their ascension to heavenly power.